In October 2016, Google first announced its plan to prioritize a mobile search index over their desktop index. 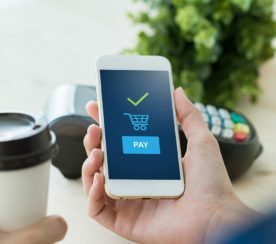 Since then, this shift to a mobile-first index has been one of the most talked about – and sometimes misunderstood – topics in the industry. With its full implementation happening soon, it’s worth taking a look at how prepared SEO professionals are for this major change. 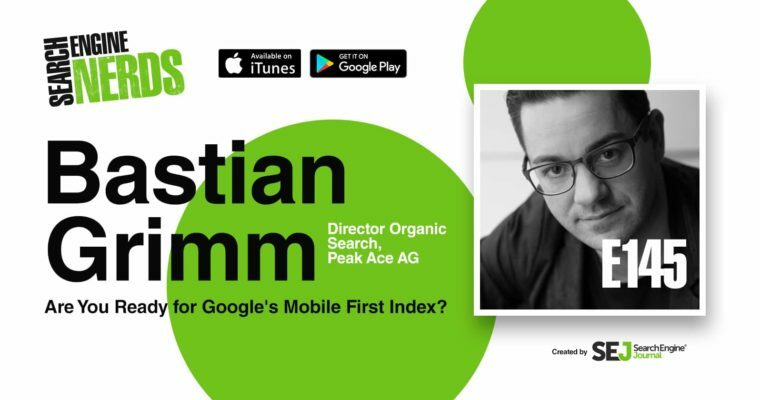 For episode 145 of Search Engine Nerds, I spoke to Bastian Grimm, director of organic search at Peak Ace AG, who shared insights on Google’s mobile-first index and other factors that SEO professionals should take into consideration when preparing for the shift. 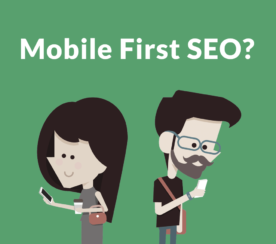 What are your thoughts in general about the mobile-first index? Bastian Grimm (BG): It’s kind of an interesting thing… for quite a while – even now – no one really understood or probably some struggled a bit to really understand what’s going on. They’ll essentially [be] taking the mobile web presence and rank things based on that – and not as they do it today using the desktop [index]. Right now it doesn’t really matter from a scoring perspective if a mobile site is fast or not. However, I guess from the user perspective that’s a totally different story. Because we don’t want to wait for a mobile site to load. I think it’s even worse if a mobile site is slow compared to a desktop site. 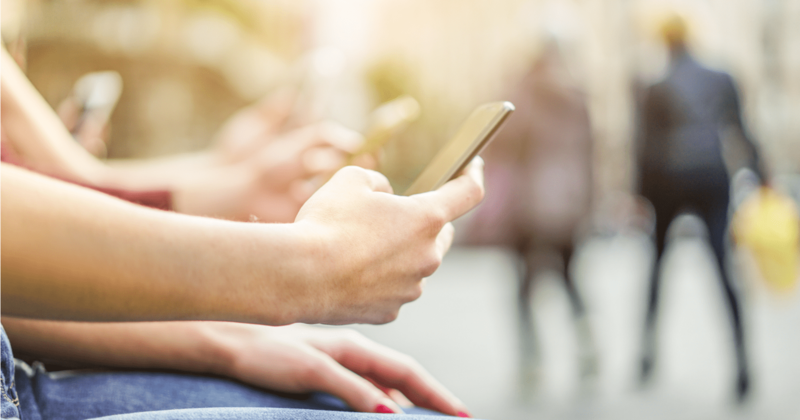 With Google announcing that page speed is going to be a ranking factor, do you think that means we’re about to see the rollout of mobile-first? Do we need to start paying attention to scores more than ever? BG: I think, essentially, you’re right. Google making a clear stand on things is actually a rare thing… they’re trying to make sure that people get its significance. However, though there’s also the other side of the story, that if you look at everything around speed and then obviously at some point you have to at least mention accelerated mobile pages, the AMP initiative, which I honestly think has at least a political taste to it in a sense that you couldn’t start the AMPs without HTTPS, now you need HTTPS. Then you could say that’s just another way for Google, where people have to actually adapt to things that they want them to do. You could argue that the same is true for speed in a sense as well. However, though, to be honest, I see the benefit of it. We all are not willing to wait for a site to load. I guess it’s not so much about SEO. 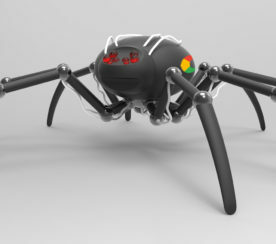 Yes, granted we might have better crawl efficiency. But generally it’s about user experience – it should be first and foremost. What do you think is a good page speed? BG: I think first and foremost, the PageSpeed Insights scoring that Google threw out there a couple of years ago with the tool that they provided is really problematic because this number just doesn’t reflect how fast the site is at all. Forget about the PageSpeed Insights scoring. What the tool is recommending is just not applicable. The second thing is Time Spent Downloading that we have in the Search Console – another number which is just not relevant at all. Then the two-second loading time, I think that’s been out there for a while… There was just a recent study from Nielsen where they surveyed quite a bit of people and actually that was the same outcome. So you have this two seconds, maximum three. So that thing seems to be quite valid. However, though I think if you look at measurement, that’s one of the biggest issues that we have on the performance side. The state of the art measurement up until now was to go with something like Webpagetest.org and then use the Speed Index and maybe Time to Interactive. I think even Google figured at some point out that that’s not enough. What they did, I think it was Chrome  I believe. They introduced something called the Performance Observer. The idea is to measure with, in this case, GA, the different paint timings. When does the most relevant element on a site really appear and can you consume that? If you think, in the YouTube logic, the only thing that you really want is to watch the video and that video is your hero element. That’s the thing that needs to be there really, really fast. I kind of approach it a bit differently and look at those different paint timings – Time to First Paint and Time to First Meaningful Paint of this kind of hero element. Where can you measure the paint timings? BG: I think that there are two ways of doing that. Performance Observer via Google Analytics: What you have to do is extend your GA code with Performance Observer and then it just measures these paint events. They show up in the custom metrics in GA.
Lighthouse: Lighthouse also measures paint timings and it’s way easier to do, just go to Chrome Dev Tools. You can run the same tests on mobile speed and then they use those paint timings and give you an idea of how fast your site is depending on the mobile connection. Should people be making mobile versions of their site or is responsive really the best way right now for being mobile-friendly, mobile-ready? BG: I think the responsive has probably the advantage that you don’t have to do stuff twice. Google has been stating over and over, and I believe it makes sense, that if now on your desktop site, you have structured data and all the other kinds of nice optimizations already in place and you haven’t done that on the m-dot, well you have to synchronize things because if they flip it over and then rank you based on the m-dot and you don’t have the stuff there, how can you rank? I think that’s one of the main reasonings for them advocating and advertising for responsive. Because on responsive essentially it’s just one site and one URL where your stuff is there no matter what kind of resolution or what kind of crawler, be it desktop, be it mobile, ends up on collecting the data and processing it afterwards. I think that was the core reason for it. The downside though if you turn it around, performance optimization on a responsive site is actually way harder. But if you do it right and you do it really well, I believe responsive is a great solution because you don’t have to maintain different sites for different kinds of devices really.